Gulf Shores condo for sale at The Beach Club. 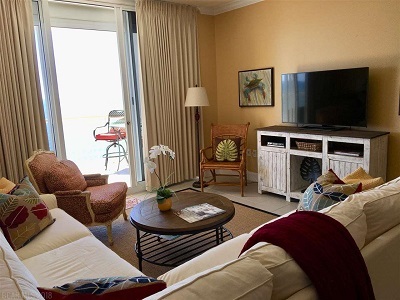 This beautiful condominium is in one of the most popular resorts on the Alabama Gulf Coast. The Avalon Tower is the most recent and up scaled of the four towers. Features include three bedroom suites each with updated private baths, a powder room and an updated kitchen. Granite counter tops, updated fixtures and sinks in the baths, tile throughout the living room, dining and kitchen. Updated stainless steel appliances. HVAC replaced in 2016, Hot Water Heater replaced in 2014. Hurricane shutters and fantastic large balcony featuring unobstructed, panoramic views of The Gulf of Mexico. Two outside storage units. The Beach Club is considered a “destination resort” with amenities including pools, spa, dining, shopping, water sports, arcades, basketball. Several restaurants nearby.